Bugatti enjoyed great success in early Grand Prix motor racing: in 1929 a privately entered Bugatti won the first ever Monaco Grand Prix. 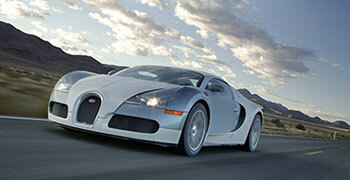 We provide Bugatti hire in Munich, Frankfurt, Stuttgart, Berlin, Düsseldorf and most other major cities in Germany. We can deliver your Bugatti rental to your home, airport or hotel. Hire a Bugatti in Germany today! Fast and furious, this supercar is a marvel of engineering that will take your breath away but still leave you wanting more.